View More In Evaporators & Accessories. With an extra coarse frit sealed between the outer upper joint and the lower inner joint this adapter prevents the contents in the flask from entering into the condenser when "bumping" occurs. All traps have a 24/40 top outer joint. 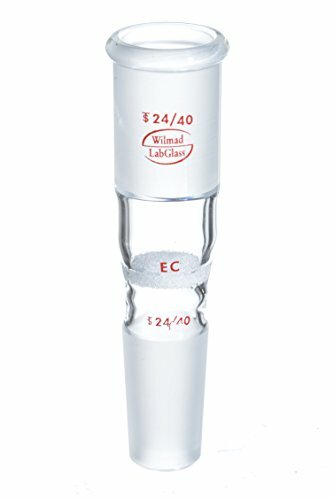 Scientists rely on the expertise and artistic skills of Wilmad-LabGlass' engineers and glass specialists to manufacture NMR and EPR consumables and laboratory glassware of the highest quality. Used daily in academia, healthcare and chemical, petroleum and other industrial applications, Wilmad offers 7000+ items as part of their standard catalog as well as custom fabrication for individual glassware, glass repair services and OEM glass parts. If you have any questions about this product by SP Scienceware, contact us by completing and submitting the form below. If you are looking for a specif part number, please include it with your message.